Definition - What does Niralamba Sirsasana mean? Niralamba sirsasana is a variation of sirsasana, or headstand, but the arms or hands do not support any of the body weight in the pose. Instead, the arms provide balance without bearing weight. The arm position can vary, but in a common one, the arms reach forward with the fingertips touching the ground. 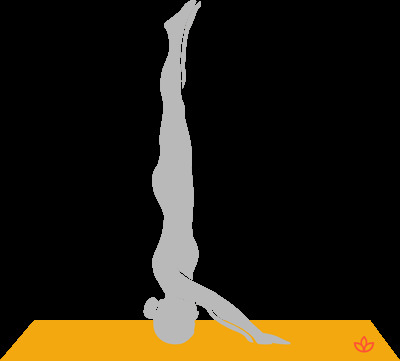 In English, niralamba sirsasana translates as unsupported headstand. As an inversion, niralamba sirsasana is believed to open the ajna (third eye) chakra, which promotes intuition and inner knowledge. It is also associated with an enhanced imagination, clairvoyance and visualization. This asana is additionally thought to activate the sahasrara (crown) chakra, which is associated with pure consciousness. Because this is an advanced asana, niralamba sirsasana should only be attempted after mastering the supported version.